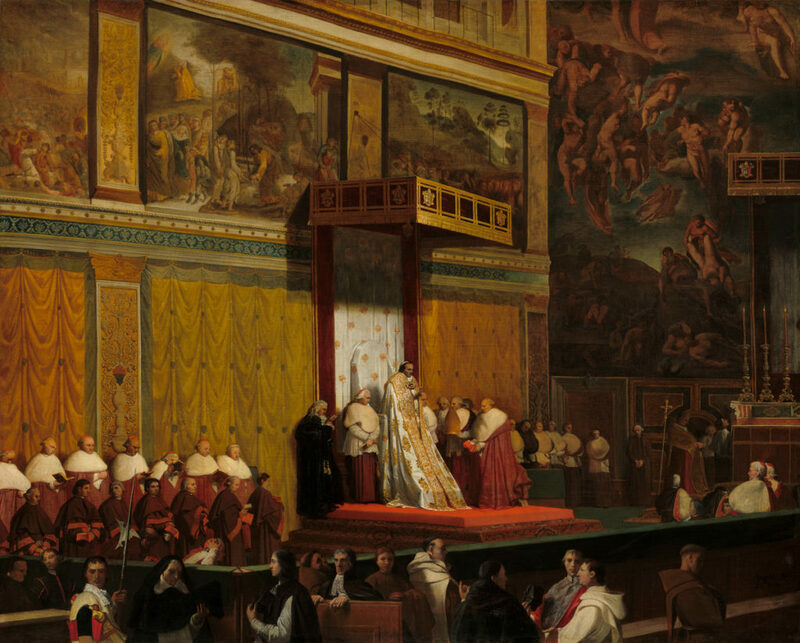 Jean-Auguste-Dominique Ingres, “Pope Pius VII in the Sistine Chapel,” 1814. Photo via National Gallery of Art. Islamist insurgents launched an attack on a hotel in central Mali this week. Proposed constitutional changes in Chad would allow current President Idriss Deby to stay in power until 2033. The Pentagon has confirmed that a high-ranking al-Qaeda leader was killed by a US airstrike in Libya. Mass deportations of African migrants from Algeria continues. Ethiopia is ready to swear in a new prime minister. The mayor of Dakar, Senegal, has been jailed on fraud charges – supporters say the accusations are politically motivated. Many Ghanaians are not excited at the prospect of a military cooperation deal with the US. Nigeria’s fight against Boko Haram continues. Pirates kidnapped a number of crewmembers from a fishing boat off the coast of Togo. Uganda is establishing an official Reserve Army. In Angola, the son of former President dos Santos has been charged with fraud. The president of Botswana, Ian Khama, is stepping down. In Zimbabwe, illegal miners are searching for gold on Grace Mugabe’s farm. A Mozambican activist and journalist was kidnapped and beaten this week shortly after criticizing the president’s family. We are now in year four of the war in Yemen. Many point fingers at Saudi Arabia for producing the world’s worst humanitarian crisis, but the US congress might also share some of the blame. 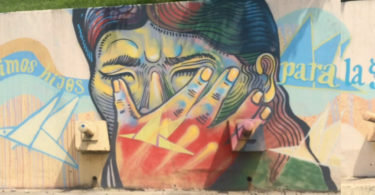 This story highlights how women street artists are confronting the challenges of war. Scores of Palestinian protesters were killed in clashes with the Israeli military this week. The Turkish government is not a fan of France’s offer to help mediate between the Turks and Syrian Kurds. Years later, members of Iraq’s Yazidi minority remain trapped on Mount Sinjar. Riots broke out in Nepal this week in the wake of a deadly bus crash. Is India changing its foreign policy approach to China? Can Pakistan and Afghanistan work together to counter terrorism? The UN has blacklisted a number of shipping companies due to ties with smuggling by North Korea. Leaders from North and South Korea will hold a summit in the DMZ at the end of April. What role will China play in the developments on the Korean peninsula? Apparently Japan wants its own summit with North Korea. Amal Clooney is set to represent a pair of journalists detained in Myanmar for reporting on the oppression of Rohingya Muslims. Is Myanmar’s new president going to change the constitution? Indonesia has plans to ramp up its ‘war on drugs’. Is nationalism on the rise in Spain? Spanish authorities have recovered artifacts looted by ISIS in Libya. 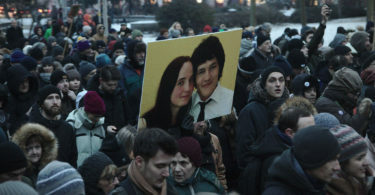 A brutal murder in France this week has observers worried about the rise of anti-Semitism. How is the French public responding? Italian authorities detained a Moroccan terror suspect this week. Switzerland is planning to buy more missiles and fighter jets. Poland just inked a deal to purchase Patriot missiles from the US. Germany arrested four Syrians over ties to an attack on a Turkey-linked mosque. The name dispute between Greece and Macedonia continues. Presidential campaigns are underway in Mexico. Protests against the new Honduran president continue. Authorities in Panama have placed Venezuelan President Nicolas Maduro on a money laundering watch list. Dozens of people died this week after a fire broke out in a Venezuelan police station. Colombians are shipping Communion wafers to Venezuelans in preparation for Easter. Police in Ecuador are searching for a pair of journalists who went missing near the country’s border with Colombia. Is Ecuador’s patience with Julian Assange coming to an end? Allies of Brazil’s President Temer have been arrested on corruption charges.